Timeshare at Jardin de Amadores offers a superb level of holiday ownership comfort at an affordable price. A long-established company, it prides itself on quality and is a member of the Resort Development Organisation (RDO). 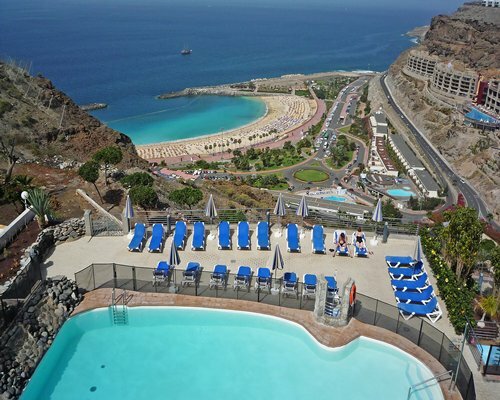 This wonderful RCI Gold Crown Resort is managed in conjunction with Holiday Club Vista Amadores (which is situated immediatly above Jardin Amadores). Spectacular views of the Atlantic Ocean can be had from all the timeshare balconies, which are all spread around a delightful swimming pool area that includes a kiddy's pool with a slide. There's an excellent level of entertainment and facilities including a health club and spa suite, a sauna, massage services and lovely lush gree green gardens. 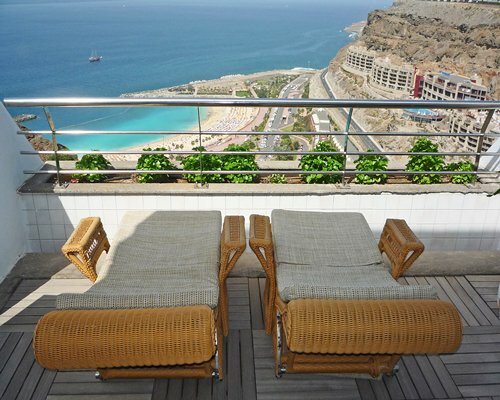 Jardine de Amadores apartments are beautifully turned out, with a large lounge area, fully-fitted kitchen with all modern day facilities and an attractive, luxury bathroom which has its very own Jacuzzi. The timeshare's also have a washer and dryer for added convenience, while the on site the restaurant turns out tasty breakfasts, lunches and dinners, every day. 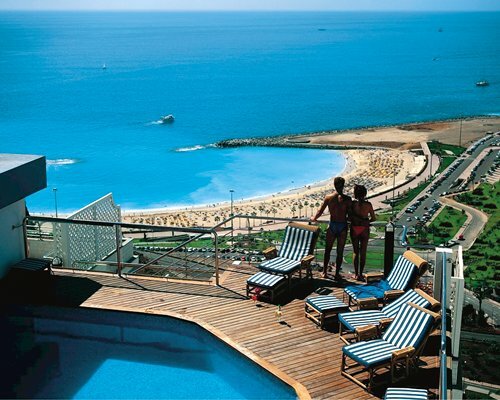 Amadores Beach is the closest to Jardín de Amadores, offering golden sands in a lovely arc formation along with shallow waters that are fantastic for the whole family. Many sun loungers can be found, which are all protected by two breakwaters. Shops, cafés, restaurants and bars are all close by, and those with children can head for the nearby Aqua Park. Puerto Rico itself is a purpose built holiday destination resort and has all the amenities of any main resort town in the Canary Islands. It doesn’t have the brash reputation of some of the other resorts in this island chain, though there is plenty of opportunity to enjoy nightly entertainment in the bars and resorts here, many of which are within large centres.